He is also proof that a great trainer needs intelligence and insight every bit as much as experience. How old are you, mate? How long have you been involved in boxing/martial arts? I became interested when I was about nine or ten years old. I sat and watched movies of people like Jackie Chan; old Chinese ones with Bruce Lee [and] Van Damme. I loved it! I probably started [training] with Tae Kwon Do and then Kung Fu, which I did for between eight and nine years. Eventually, I went to the Bob Jones Corporation and began training in Zen Do Kai and Muay Thai at 14. I stuck with that for about three years. I was still doing Kung Fu as well. At nineteen, I won the Australian All-Styles Championships in semi-contact at welterweight, which was 70kg. I was still doing Kung Fu as well. At nineteen, I won the Australian All-Styles Championships in semi-contact at welterweight, which was 70kg. After that, I started training with Sam Soliman at Underworld, and he asked me to become his full-time training partner. I was working at Underworld, too, doing personal training and taking classes. Did you have any boxing fights? Nope. No boxing fights! I just sparred with Sam and whoever else. What’s your current involvement with Fightsports? I used to be in charge of Sam’s strength and conditioning. I learned about it by doing courses; MMA strength and conditioning courses, as well as training with all different people. What do you do now with fighters? I work with boxers and kickboxers and specialise in their strength and conditioning. I help some of Paul Fyfield’s fighters, and I’m still involved with Sam, doing his strength and conditioning and some padwork. Mehmet Ceyan, Robbie Jankovski (Australian middleweight champ), and Eric Diamandstein. I love thinking, ‘How do I make this guy better?’ I can’t do it myself, but I know they can. I can see what they need. 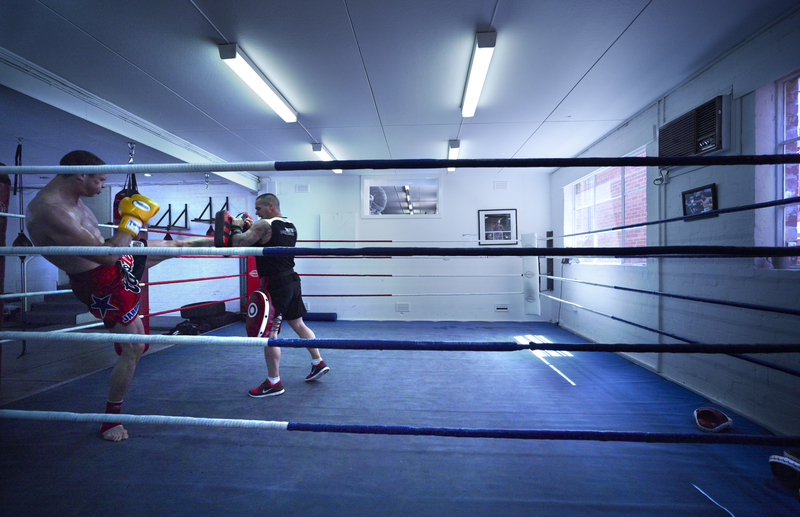 Becoming a boxing trainer wasn’t my plan – I thought I’d just be a PT. Then I started with Sam, and it just went from there. Where do you think you’ll take it? I have got to get my own gym. It’s hard in my current position; I have to earn money and fighters are the worst paying! Once I get a gym, I can start a fighter’s time to come and train. From there, I can organize classes and p.t. around that. In 2008, I went to ‘Wildcard Gym’, which is Freddy Roach’s gym in Hollywood, California. I trained Sam there for the first 5 weeks; Dave [Hedgecock] did the rest. 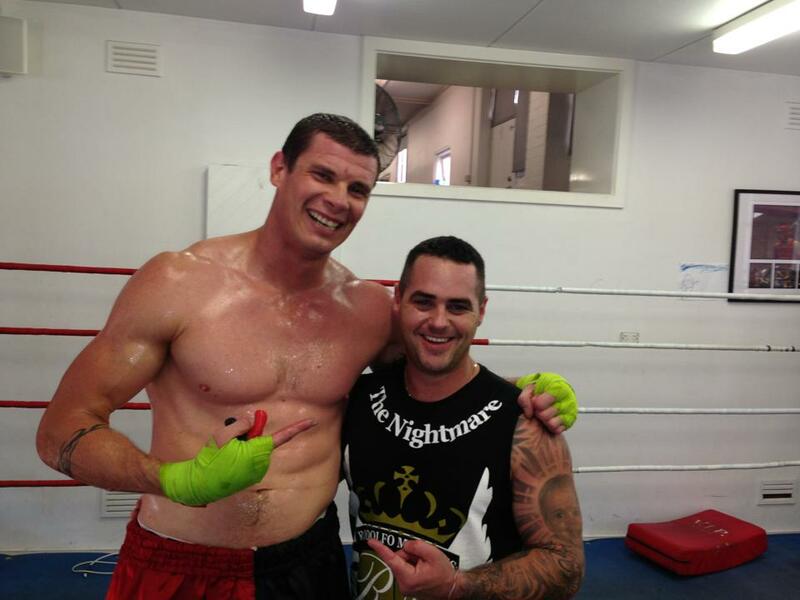 I saw Roach every day, and sat on the edge of the ring and watched and listened like a little boy taking lollies. He was in there every day from 10am until 7pm. Most of all, I was impressed by the toughness of the fighters. Sparring was on every day at 11am; they’d turn up with kids, mothers, wives, etcetera and they would go to war. It was as good as watching a full pro card where every fight is the main event. My advice would be to tell any good young fighter to move to the U.S. You can make money fighting so you don’t have to work, which means you get good enough to make a career out of it. You just can’t match the quality of sparring, the amount of fights they’ll get, and the money that goes with it. This entry was posted on March 22, 2013 at 7:33 pm and is filed under Kickboxing with tags Bob Jones Corporation, Boxing, Bruce Lee, Christian Ennor, Dave Hedgecock, Eric Diamandstein, Freddy Roach, Jackie Chan, Jean-Claude Van Damme, Kung fu, Mehmet Ceyan, Muay Thai, Paul Fyfield, Robbie Jankovski, Sam Soliman, Tae Kwon Do, Underworld Gym, Wildcard Gym, Zen Do Kai. You can follow any responses to this entry through the RSS 2.0 feed. You can leave a response, or trackback from your own site.